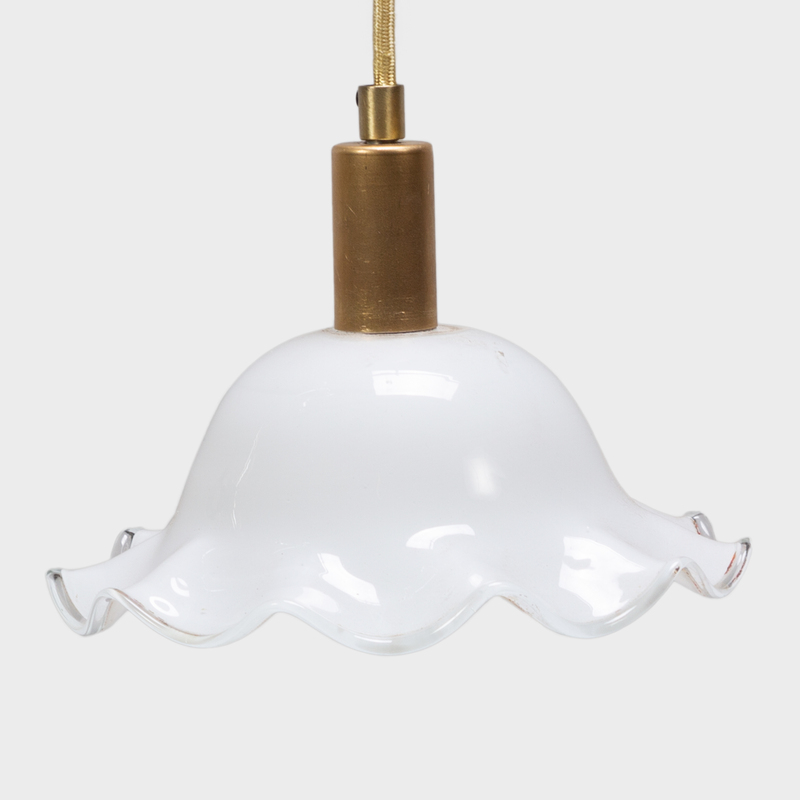 In the early 20th century, major Chinese cities such as Shanghai and Tianjin were swept up in the Art Deco design movement. 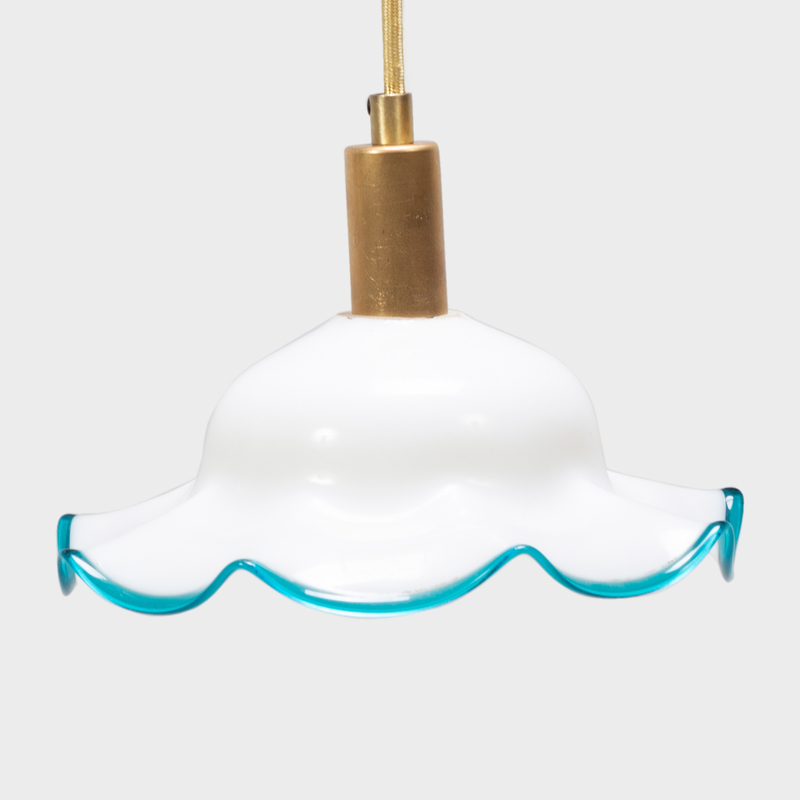 Design, architecture, art, fashion, and furniture were all influenced by the Deco aesthetic, which permeated every aspect of life in the bustling, vibrant city. 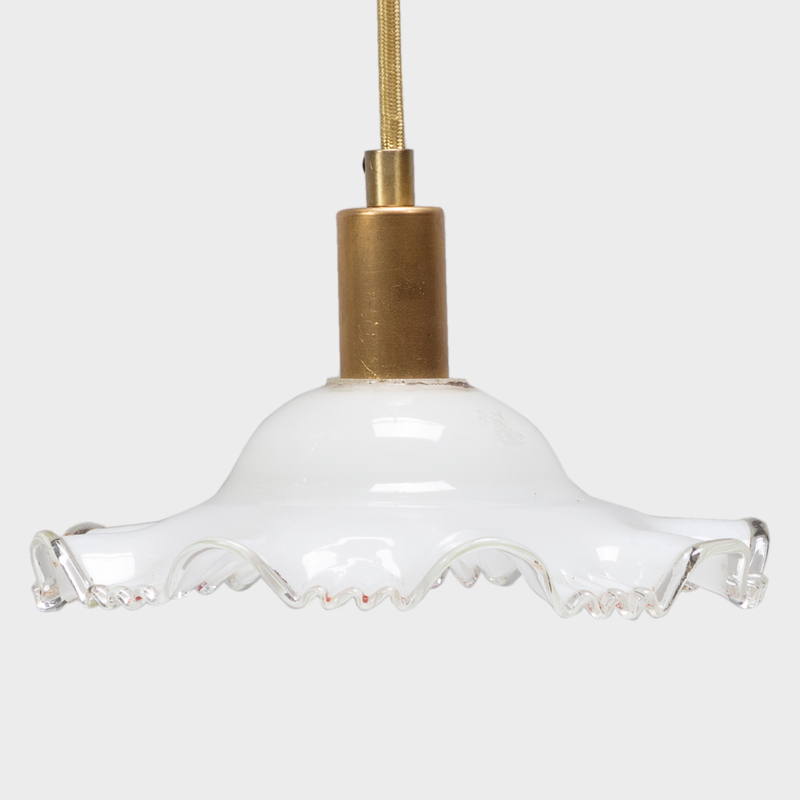 This petite glass pendant is a product of the era and a beautiful example of Deco glass work. 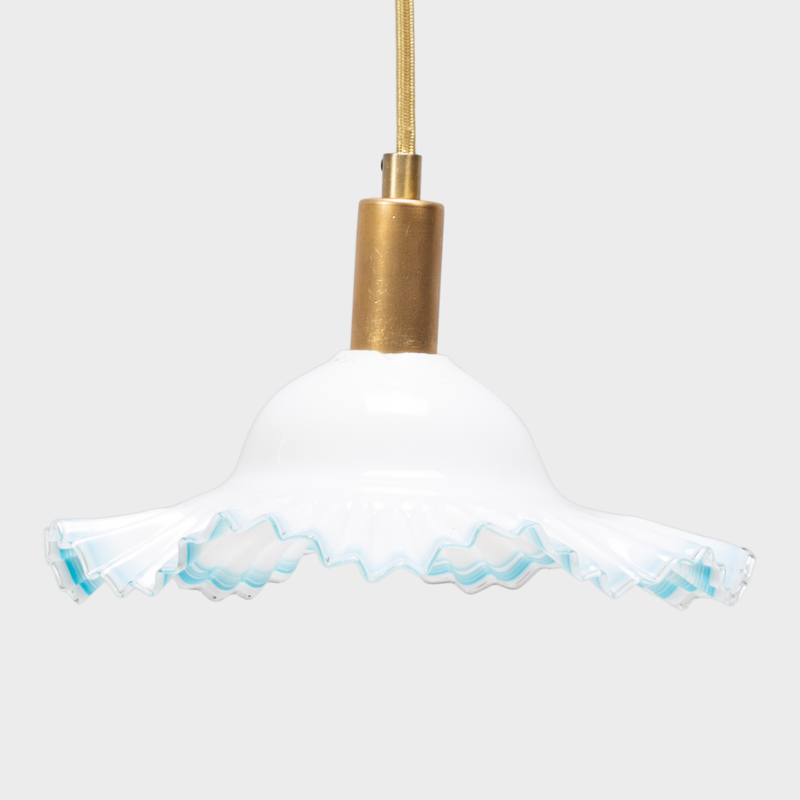 Sculpted of a milky white opaque glass, the ruffled pendant is trimmed with a thin band of bright blue for a pop of color. 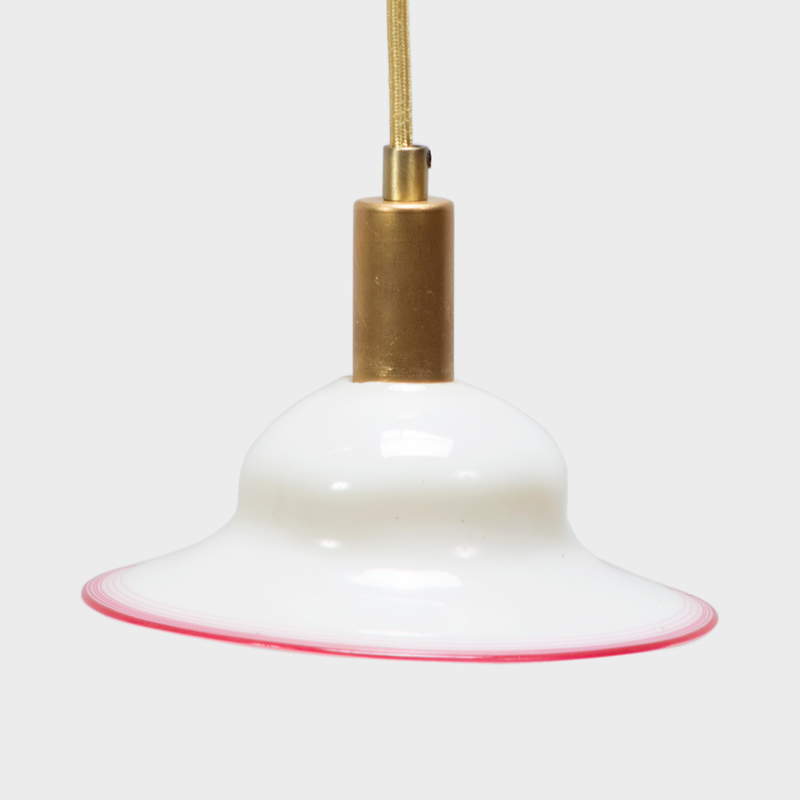 We've hardwired the vintage pendant with a lengthy gold cord, letting you twist, drape, and dangle each pendant for any interior.